2017-12-05 - Mammoth Cave National Park, KY - Photo by Victoria Leibeck-Owsley . 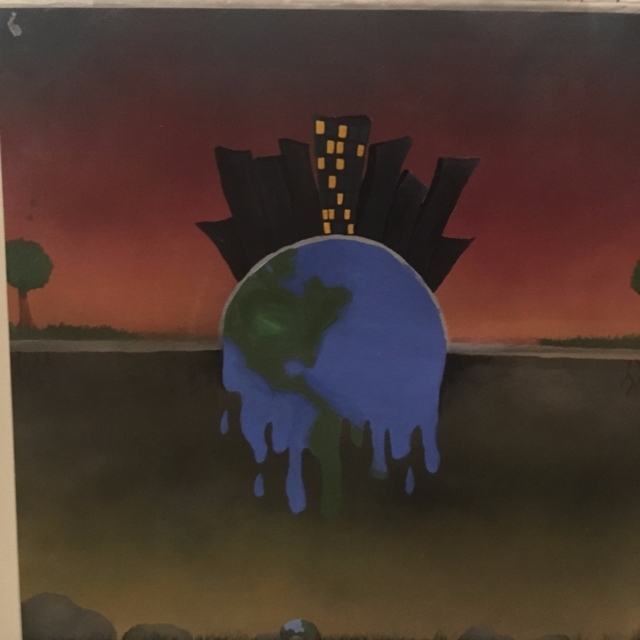 "Subterranean," by Haley Morgan, is one of five Adair County High School student's works now on display in the Dream Rocket Project now on display at Mammoth Cave National Park. Haley is a student in Ms. Cayce Davenport's advanced art courses at ACHS.